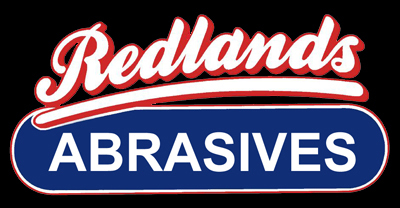 We draw our range of abrasive products from five manufacturers: Norton, Kinik, SIA, Redi-Brite and Klingspor. This allows us to obtain a broad range of high quality abrasives to cover the myriad requirements in today�s engine reconditioning workshop. All five brands are well known for the quality of their products and we are able to select from the very best for each individual application. The combined range of products available from these manufacturers is gigantic but sadly we don�t have the space for it all. In the event you require a specific product we do not stock from their combined ranges we can easily order it in. Most of these suppliers also offer the capability to custom make abrasives if required. In some cases lead times and/or minimum quantities may apply to custom and buy-in items. High quality segmented grinding wheel stones to suit most popular surface grinders and a variety of materials. Redi-Brite valve lapping compounds are economical quality compounds available in a variety of grits and bases for all valve lapping procedures. Made to order in virtually any dimensions Redlands crankshaft wheels are available in either Norton or Kinik abrasives in either petrol or diesel variants depending on customer preference. Redi-Brite Spiral bands and mandrels available in a range of grits and sizes.